Remember the days spent down at the Arcades, hearing the beeps and bops from the different machines, the coloured lights flashing all around, and money being lost for hours worth of enjoyment? 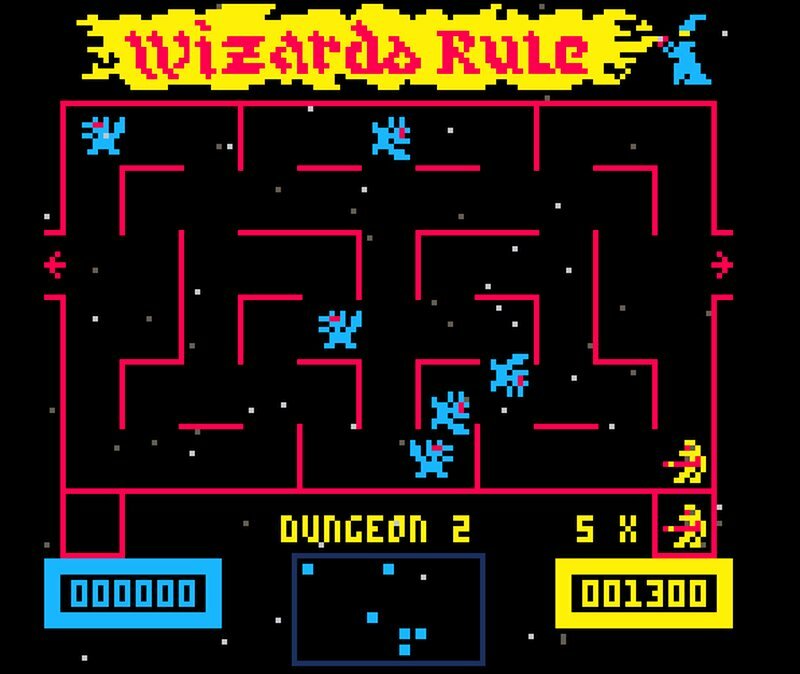 Then you really should be playing this Pico-8 game from Gadzooka, which is also available to play in your browser that takes us back to a grand old era of Arcade gaming. Called ' Wizards Rule ', the task for you is to traverse a maze and kill all the creatures in your way! 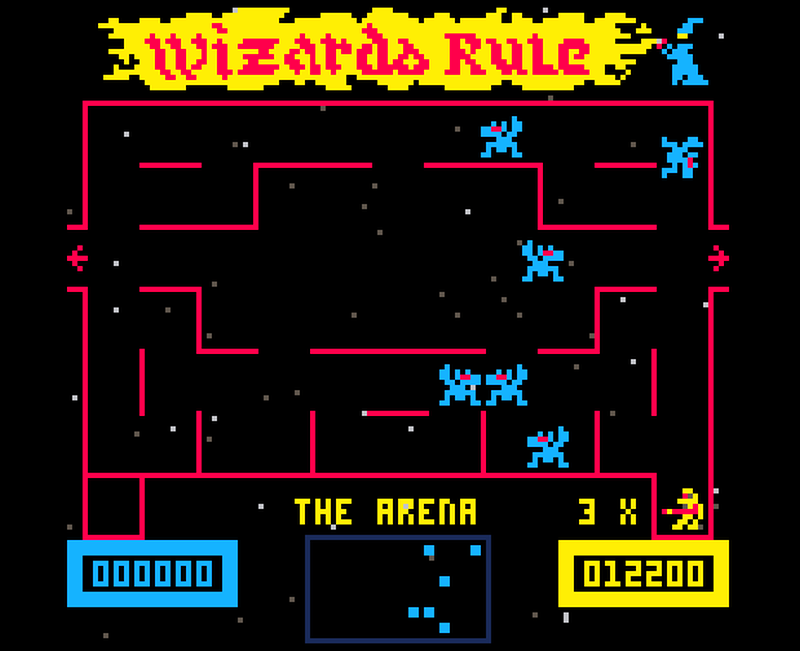 Of all the free games I've played these last few months, Wizards Rule is certainly high up there as one of the best. What it lacks in graphics, makes up for in retro inspired charm in both very old school detail and sound effects. Such a simple game to understand and to enjoy as well, move your character around the Pacman like maze, keep an eye on the radar below for any disappearing and re-appearing enemies and blast them away with your powerful laser. Just watch out for the bonus enemies towards the end of each level, as they are rather fast! Such a great little gem of a game, a game that I would happily throw all my 10p's at to play!